I'm guessing a lot of you have already seen pictures of Nasalis larvatus, but it's not the sort of thing you get used to quickly. 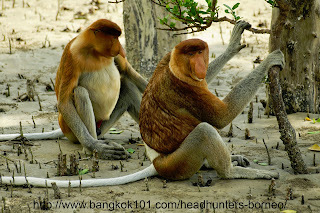 Its English common name is proboscis monkey or long nosed monkey. 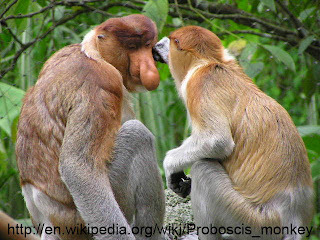 Even its scientific name is based on the fact that it has a really weird nose, which is much larger in males than females. The potbelly gives it an even more comical appearance. 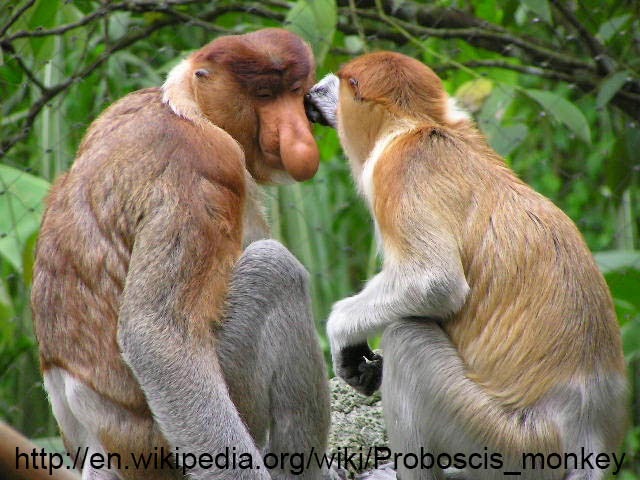 For all its nose the proboscis monkey doesn't really have a heightened sense of smell. As far as we know the only purpose of the nose is that the females find it very attractive. The Proboscis monkey is endemic to the Island of Borneo.